Never Shout Never are streaming the studio version of their track “Subliminal Messages,” exclusively on ProperyOfZack. Though the song is set to appear on the group's upcoming album, Sunflower, it was originally written for a Vans in-store performance to promote frontman Christofer Drew's role in the documentary No Room For Rockstars. Drew premiered the track in the spring of 2012, and has performed it on several occasions since. Check out the cover art and track listing for Sunflower, which is set for release July 2, below. Sunflower will be Never Shout Never's fifth full-length release in under four years. In addition to “Subliminal Messages,” the band just debuted the studio version of another often-performed, but never released, track, “Good Times.” Christofer Drew also recently unveiled a new solo song, “Delirious,” from his upcoming EP. The EP, which marks the singer's second as a solo artist, is expected to drop later this year. 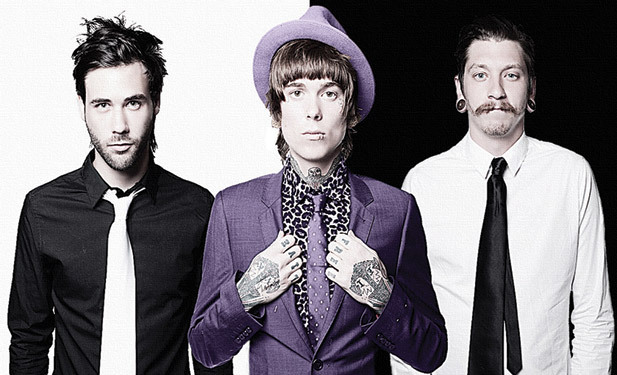 Never Shout Never are set to perform all summer long on the Vans Warped Tour, where they will host a daily behind-the-scenes workshop. Head here for dates!